Tukwila Fire Department offers American Heart Association Adult CPR, Pediatric CPR, and Basic First Aid training. Classes are held at our Headquarters Station 51 – 444 Andover Park East in the South Training Room. Refund Policy: If the class is canceled by the fire department, your fee will be refunded to you or transferred to a class at a later date. If you cancel your registration at least five days before the class begins, your fee will be transferred to a class at a later date. Refunds are not issued for non-attendance. For questions regarding the class, or to confirm your registration, call 206-575-4404. 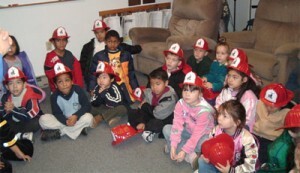 If you are interested in a fire station tour please call Tukwila Fire Station 51 at 206-575-4404. Your Tukwila Fire Prevention Bureau teaches fire extinguisher classes to businesses in the Tukwila area. The class includes prevention of fires, classifications of fires, appropriate use of extinguishers using the PASS method and rules for fighting small fires. All students will practice extinguishing a live fire. To schedule a class please call 206-575-4407. The Youth Fire Starter Program is a confidential program available to help children who have displayed a fire starting behavior. The behavior ranges from the curious to the problem fire starter. The program focuses on evaluation, awareness, and fire safety issues. Referral can be voluntary, court ordered or by the fire and police departments. 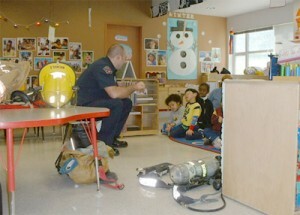 In the event of a referral, the child and parent meet with a trained fire department member for an initial interview. The child is given an assignment and referred to a therapist. A follow up visit is scheduled one month later. All visits are confidential. If you need to schedule an appointment, please call 206-575-4407. Please feel free to drop by any fire station to get your blood pressure checked. Call Tukwila Fire Station 51 at 206-575-4404 for scheduling.